You are getting ready to start school again (or just started) and already the anxiety is building. You have homeschooled awhile, but you still don’t think you are doing it right. Your oldest is telling anyone who will listen she wants to go back to ‘real’ school. Your kids are groaning about starting back again. You are on the defensive and feel your inner ogre taking over. You were sure when you started that homeschooling was the best route to take, but now that you are on that path, you are plagued with doubts: am I covering the right things? Am I doing enough? Are my kids actually learning anything? Am I really cut out to do this on my own? Don’t do these three things! 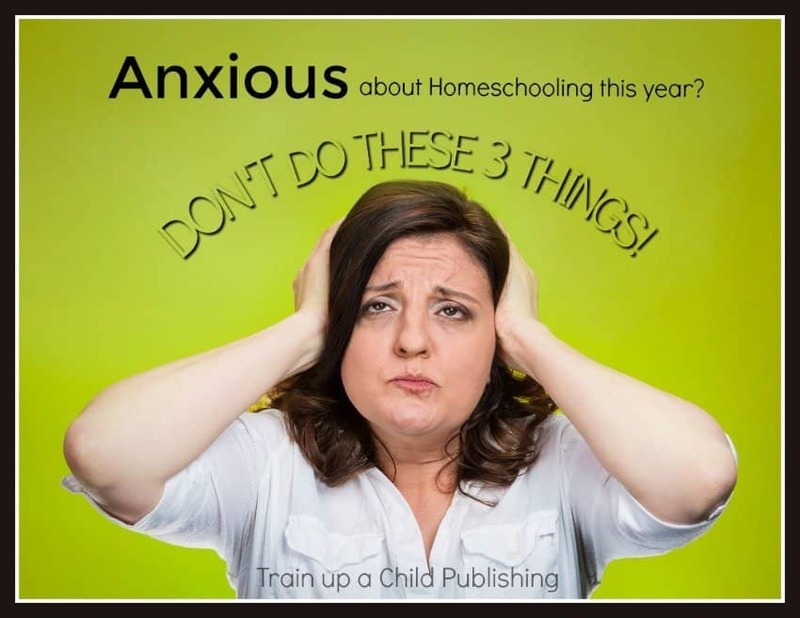 Take out a second mortgage and put your kids in a hybrid homeschool program you can’t afford. Then THEY can make all those decisions about how to teach your kids and at what pace they need to learn. Yes, it will be stressful to have to conform to someone else’s schedule for your family and your slower learner will have some problems keeping up, but he will just have to conform….or you will have to help do his work…. Buy another boxed textbook curriculum. You know it is dull and feels like “public school at home,” but at least you’ll know you are covering enough. All the worksheets and tests you need are there so you won’t have to worry about evaluation. Whether the kids are actually learning anything is another matter, but maybe it will feel less like torture be better this year…. Before you do anything rash, just stop and think a minute. I want you to write down what you would like your homeschool to be like. How do you envision it working? What would you be studying? How would your kids be? How would you be? What would be different? After you have described what you would like your homeschool to “look like,” tell me some things you would like to change in the comments! The first step toward making things better is identifying how you would LIKE things to be! Soon we will talk about some additional steps to take to bridge that gap between where you are and where you’d like to be!